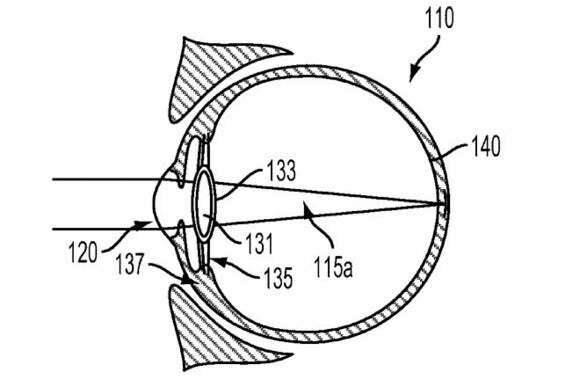 Google’s crazy intra-ocular device patent promises assisted vision and augmented reality. Forget electronic contact lenses; Google’s next step could be to inject vision-enhancing electronics directly into the eye. 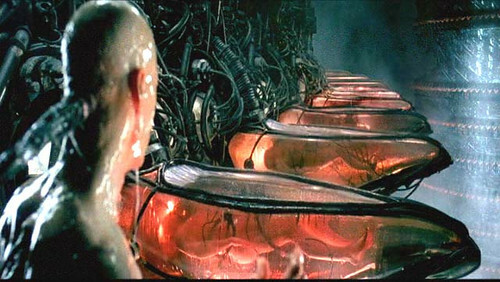 To power the device, Google’s patent mentions an “energy harvesting antenna,” which doesn’t at all bring the Matrix to mind. Google says this antenna could “capture energy from incident radio radiation,” and could optionally double as a way to communicate with the external device. Alternatively, the external device could be worn by the user or stashed beside a bed, and would power the eye sensor wirelessly. How would the “installation” work? Patients would get a dose of anesthetic, and then a surgeon would cut through the cornea and into the anterior chamber of the eye, introducing fluid into the lens capsule to help position the device. That fluid would then solidify, coupling the lens capsule and the device. Google describes being able to replace some or all of the patient’s natural eye lens if necessary. Why this matters: As with any patent filing, there’s no guarantee that Google’s intra-ocular device concept will materialize. But keep in mind the company previously patented smart contact lenses before working on a real version that measures blood glucose levels. Given enough time, this latest invention could be the HoloLens of the future—not worn atop your head, but squeezed into your eyeball.